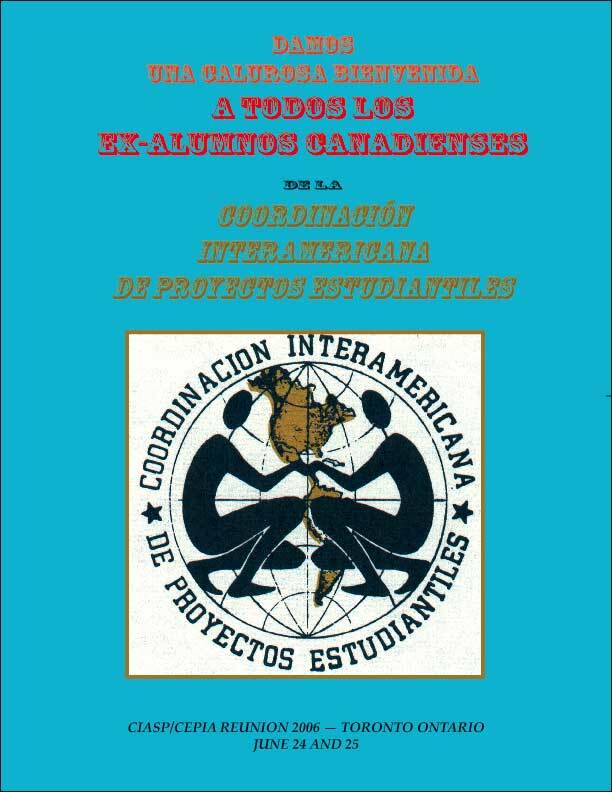 Many CIASPers don't realize that students from the University of British Columbia also went to Mexico. Although it was a small group, they trained and prepared with the CIASP group located at the University of Washington (Seattle). UW students had projects in Oaxaca, and many were Triqui Indian communities. The UBC students joined the the Canadian contingent in Mexico City at the Tlalpan convent orientation; some or them were reassigned to Canadian projects. CIASP Canada also hosted a few American students in our Hidalgo projects. I found the following article online. It's from the University of British Columbia student newspaper (Ubyssey) and describes the involvement of Harry Armstrong and Valerie Turner. Harry now lives in Toronto, and was the author of one of two articles about CIASP. The link above is a pdf file to the original newspaper stories. In the popular student quest for social reform there is an urgent need for students to agitate within the existing social system for a transformation in public attitude. Tuning-in and dropping out may be socially elite now, but it is facile and unproductive. Students throughout the continent have been "finding themselves" through narrow evaluations of student individuality, rights and roles. Few have given consideration to the responsibility of putting at society's service their knowledge and understanding which seem to respond so readily in unmasking the deficiencies of our so-called "democracy". There are some, however, who find scope for expression in the programs of the Peace Corps, CUSO, VISTA, and the Company of Young Canadians. 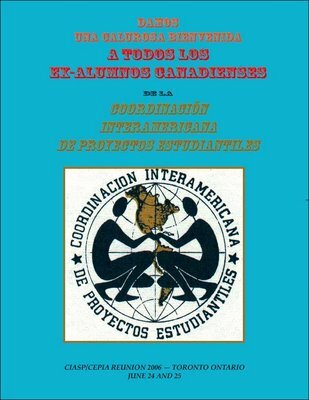 There were ten UBC students who spent the past summer trying to assert the primacy of interdependence and cooperation in a similar way, in the service of the Conference of Inter-American Student Projects, an international student development organization. Armed with such a vague ideal and a sense of adolescent vocation these ten CIASPers attempted to tackle the challenge of community development for two months in the undeveloped areas of Mexico. They faced the ordeal of trying to communicate through language and by the example of personal commitment the advantages of an intercultural exchange for the mutual benefit of both the Mexicans and themselves. They were not dismayed by any failures to improve the material lot of the Oaxacans in whose villages and towns they lived. Not being technical specialists, the UBC ClASPers placed emphasis on sharing with these Mexicans the problems of the pueblos rather than offering ready solutions in typical Yankee fashion. Unique amongst student organizations, CIASP - the international, non-government sponsored movement - works on the grass-roots level through a structure of student-community projects in Mexico. From their friendships the UBC "Amigos" discovered new vistas for personal growth, and developed a new perspective on their own culture when they returned. They realized as Huxley said that "You accept the world, and make use of it; you make use of everything you do, of everything that happens to you, of all the things you see and hear and taste and touch, as so many means to your liberation from the prison of yourself." Maybe the ten UBC students didn't return from Mexico with any solutions but they are in a better position to pose more sensitive questions. There is nothing extraordinary or radical in their attitudes or appearance to indicate the deeper appreciation for social reform they gained in Mexico. Can you picture yourself arising from your straw bed, heeding the call of nature in unusual ways, and starting the day with a tortilla and beans breakfast? This was part of the daily living routine of ten UBC students who spent last summer in rural Mexico with the Conference on Inter-American Student Projects. 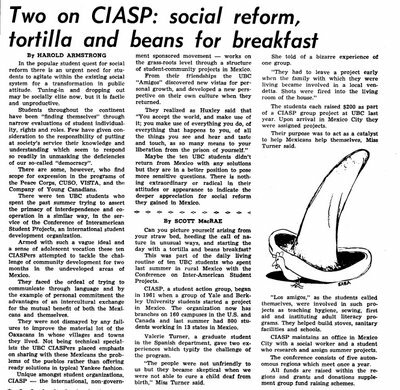 CIASP, a student action group, began in 1961 when a group of Yale and Berkley University students started a project in Mexico. The organization now has branches on 160 campuses in the U.S. and Canada and last summer had 800 students working in 13 states in Mexico. Valerie Turner, a graduate student in the Spanish department, gave two experiences which typify the challenge of the program. "The People were not unfriendly to us but they became skeptical when we were not able to cure a child deaf from birth," Miss Turner said. She told of a bizarre experience of one group. "They had to leave a project early when the family with which they were living became involved in a local vendetta. Shots were fired into the living room of the house." The students each raised $200 as part of a CIASP group project at UBC last year. Upon arrival in Mexico City they were assigned projects. Their purpose was to act as a catalyst to help Mexicans help themselves. Miss Turner said. "Los amigos," as the students called themselves, were involved in such projects as teaching hygiene, sewing, first aid and instituting adult literacy pro grams. They helped build stoves, sanitary facilities and schools. CIASP maintains an office in Mexico City with a social worker and a student who research and assign summer projects. The conference consists of five autonomous regions which meet once a year. Al funds are raised within the regions and grants and donations supplement group fund raising schemes. Please consider posting your archival photos and images of CIASP. At the Toronto reunion, people brought a fantastic collection of older pictures and slides. Consider putting your favorite pictures online. Request to become a Contributor to CIASP Diary and personally post photographs and images to CIASP Diary (http://ciasp.blogspot.com). Prepare all images by saving them "for internet display". If you're technically competent, save images in .jpeg format and reduce them to 800 or 900 pixels wide. It's best if images are optimized to smaller file size. Remember to include details about the picture. Otherwise, send images to Doug Boufford or Jim Creechan and ask them prepare them for posting to this site. Smaller files of "a few pictures" may be sent directly to Doug or Jim via email. Larger files and "collections" are best sent on on CD-rom discs, or placed on a site for FTP download. Older pictures can be "scanned" or otherwise digitized. Within limits, damaged pictures can be restored using Photoshop. Slides can also be scanned and digitized. Check with Doug or Jim about scanning treasured and rare pictures. Subject: You are amazing ! What a great weekend we had ! What fun to see you all again ! The song, "Easy Come Easy Go " keeps playing in my head these past 2 days. = "Say hello and good bye and wish you all the best"
Thanks so much, Doug for the list and all those pictures which came to us so quickly. You sure captured the spirit of the event. I must confess, before the weekend, I was debating about sharing a passion I`ve had for many years; to return a blessing in some practical way, to the rancho people of Mexico. I wasn`t sure if it was appropriate to mention it to a group who were coming specifically to reconnect with one another. It took a big leap of faith and I hope I didn`t offend anyone. However, for those of you who left before my sharing , allow me to explain that I am on the board of "Come to the Waters Ministries", a charity recently set up primarily to help the poor and indigenous people of Mexico. Armida, a Mexican lady who lives here in Lindsay and who goes to Mexico each winter with her husband, is the president of this charity This past winter she was asked by the people of a rancho ,Tamarindo, where she was visiting, to help finance a multipurpose building for a school,community centre and church. This small rancho is in the state of Oaxaca, south of Hidalgo and the building will service 2 adjacent ranchos as well. This new charity had no money for the project so I thought of CIASP and wondered if any one else might be feeling the same desire to give back a portion to those who gave so much to us. This Rancho Tamarindo, could represent all our ranchos and it`s at the same poverty level ours was 40 years ago ! Well, I offered the opportunity on Saturday night and 3 gave me filled envelopes .I went to bed that night asking the Lord to bless and provide if He wanted this project to succeed. I thought it was perhaps unfair of me to expect people to give on the spot with no prior warning The next morning a few more gave me their envelopes.Others promised to mail in their donatuion . CIASPers gave $1,050 !!! That`s enough to buy the land and even a few bricks !!! THANK YOU GOD-YOU DID ANOTHER LOAVES AND FISHES` TRICK !! I was shocked and overjoyed. at the generosity of 8 people.Your spirit of compassion as well as a desire to return the blessing is SO encouraging. That`s over 10,000 pesos !! The organization in Mexico we are working with is made up of representatives from 5 different Christian churches and call themselves "llamados Para Servir" = " Called to Serve". They will oversee the project and make sure the money is spent only for land purchase and building materials. One of these leaders is driving to St. Catherine`s , On for a wedding in early July, so I may have the opportunity to meet him in Toronto or Lindsay. If so, I`d like to give him a cheque from CIASP with an explanation of who we are .If enough money comes in I`ll ask if we can dedicate the school with the CIASP-CIPE name and logo. Will keep you posted. "Come to the Waters Ministries"
All donations above $10 will be receipted and 100 % of money collected will go toward this project. We have waived any administrative fees. Please mail your donation by July 4th if possible so it can be given to our Mexican jefe while he`s here. The CIASP spirit is alive and well ! What a great time we all had at the reunion! Thanks to everyone who was there. YOU are what made it such a special time! I have posted some pictures from the weekend on a CIASP page on my web site. To get there click HERE and follow the link from there for the pictures. There is also a link to the other web sites hosted by Jim Creechan (www.ciasp.ca) & John Vella (ciasp.tripod.com). Enjoy - and everyone keep in touch! On June 24 and 25th, more than 50 ex-alumnos canadienses de CIASP Canada gathered at Toronto's Scarboro Foreign Mission center to meet old friends and relive experiences from forty years ago. There were earlier regional CIASP/CEPIA reunions — Toronto's organized by Bruce Weber in 1984 & Ottawa's hosted by Jean Quesnel in the late 1990's — but Reunion 2006 was truly a national gathering because the internet made communication possible even after many years of lost contact. CIASPers came to Toronto from across Canada, and reconnected with dear friends for the first time since the 1960's. Many brought their amazing archive of photographs and slides, and some people even dragged out dusty old souvenirs collected in the Huasteca Hidalgo. Of course, everyone shared memories and told their true tales of unforgettable adventures and misadventures. As things wound down on Saturday night, our "venerable" CIASP elders shared their personal memories of CIASP's beginnings in 1963, while many others variously related their happy, unusual, emotional and sad remembrances from times in the Huasteca and the lasting impact this had on their later careers in Canada. 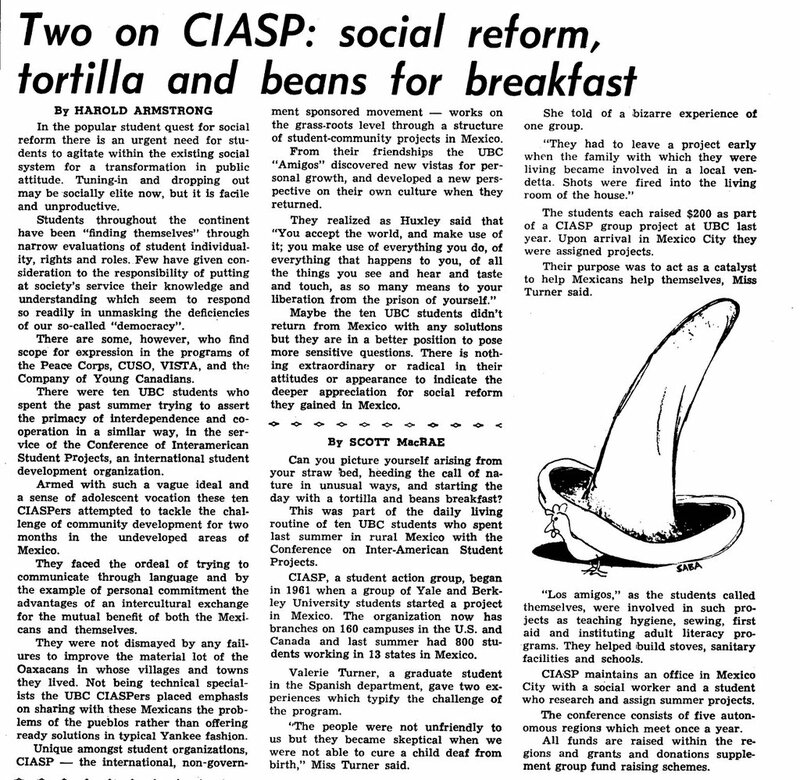 We also learned more about CIASP's final demise in 1970. The only concrete archive of CIASP-Canada resides in the collective memory of we 700+ CIASPers , and this 2006 gathering was a living example of how long-ago events can continue to generate joy, sadness and even the personal validation of a youth well-spent. Beyond everything else, the pictures and stories from those days made us laugh and smile with fondness as we remembered the incredible patience, generosity and kindness of our Mexican hosts. Although the internet allowed us to resurrect a long lost connection, the fact is that reunion 2006 would never have taken place without the persistence and dedicated commitment of Joe Lynch. He forged ahead to make it happen, and he created an organizing committee that brought it about. Without Joe, our personal connection with each other would no doubt have remained circulating endlessly in cyberspace. CIASP Diary has been established for the purpose of keeping us in touch. Please contribute to it and share your thoughts about CIASP.